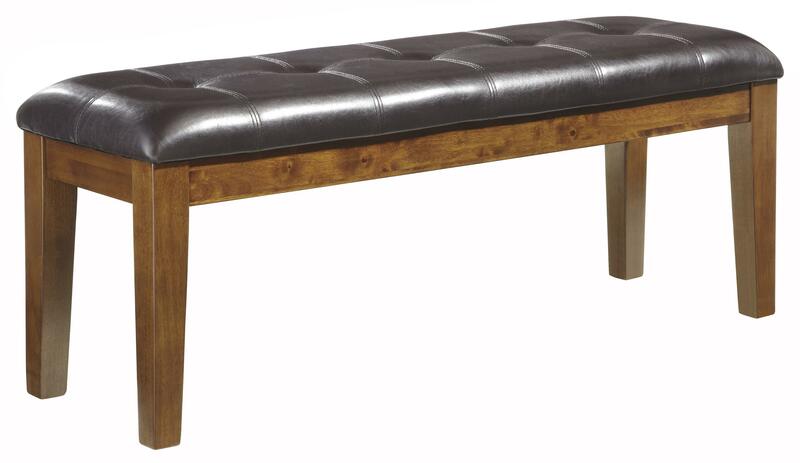 Add an inviting seating option to your dining experience, as well as visual interest to the dining area with the vintage casual upholstered bench with button tufting. 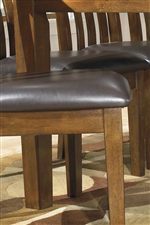 Made with hardwood solids and acacia veneers in a distressed and burnished dark brown finish, the rustic bench covered in coordinating faux leather comfortably accommodates two adults and is as ideal for intimate family gatherings as it is entertaining. The Ralene Casual Faux Leather Large Upholstered Dining Bench With Button Tufting by Signature Design by Ashley at Michael's Furniture Warehouse in the San Fernando & Los Angeles area. Product availability may vary. Contact us for the most current availability on this product. Construction Hardwood solids with Acacia veneers. 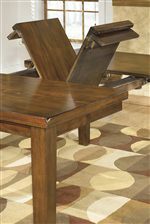 The Ralene collection is a great option if you are looking for Casual furniture in the San Fernando & Los Angeles area.